Our 24 hour pet hospital is located in North Seattle and serves Seattle, Silverdale, Poulsbo, Everett, Monroe, Lynnwood and Renton. Not all veterinary oncology programs can provide on-site radiation therapy, but our BluePearl North Seattle animal hospital has that capability. With its linear accelerator and expert oncology team, the hospital is equipped to go after your pet’s cancer on multiple fronts. 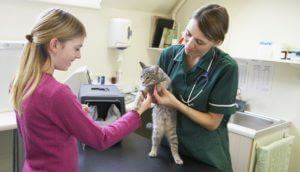 The 24 hour pet emergency care at BluePearl North Seattle also sets itself apart from the crowd, having attained the highest level of certification awarded by the Veterinary Emergency & Critical Care Society. 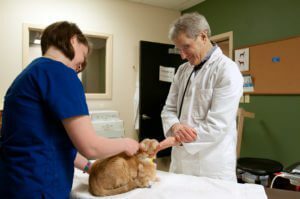 One of five BluePearl hospitals in the Seattle area, North Seattle, originally known as Animal Critical Care and Emergency Services, or ACCES Seattle, in its previous location, moved to its current 20,000 square-foot facility in 2017. It is home to Washington’s largest veterinary blood bank and offers state-of-the-art technology to include ventilator support, ECG and oxygenation monitoring, CT scans, ultrasounds and fluoroscopy. Rehabilitation services are also available including an underwater treadmill and laser therapy among many other services. The hospital is a short drive from Interstate 5.